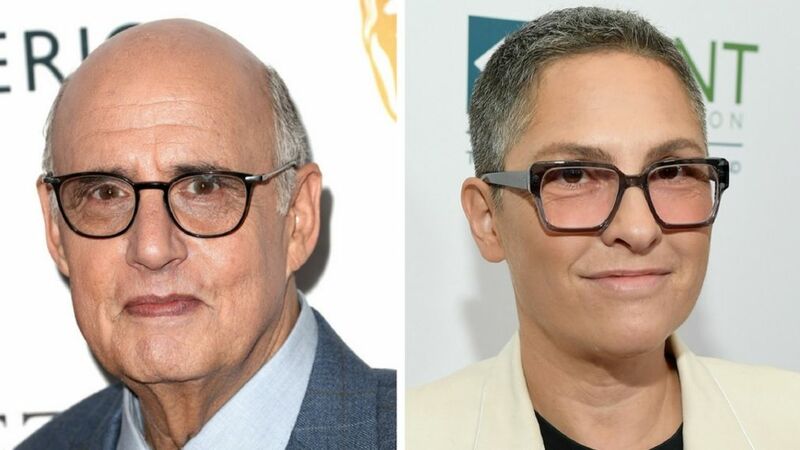 Jeffrey Tambor and Transparent creator, Jill Soloway. In a statement made Thursday, February 15, Amazon Studios revealed that Emmy-winning Jeffrey Tambor had officially been terminated from his series, Transparent. The news came three months after sexual harassment claims that surfaced against the actor, spurring an internal investigation. Now, the actor is sounding off on what he calls a "deeply flawed" investigation leading up to his firing. The Emmy winning actor was terminated after Amazon's internal investigation. When the claims first emerged in November of last year, Tambor refuted the charges but then hinted at an exit from Transparent. Now, it's becoming clear that the TV star had no intention of voluntarily leaving the series. Of the investigation, the 73-year-old had the following to say: "I am profoundly disappointed in Amazon’s handling of these false accusations against me. I am even more disappointed in [showrunner Jill Soloway]'s unfair characterization of me as someone who would ever cause harm to any of my fellow cast mates." Lysette is the second woman to come forward who worked with the star. "We are grateful to the many trans people who have supported our vision for Transparent since its inception and remain heartbroken about the pain and mistrust their experience has generated in our community. We are taking definitive action to ensure our workplace respects the safety and dignity of every individual, and are taking steps to heal as a family." Tambor and Soloway worked together for five seasons of the show, and according to Tambor, she was never given reason to think he would commit such lewd behavior. That is, until claims that he regards as false surfaced last fall. "In our four-year history of working together on this incredible show, these accusations have never been revealed or discussed directly with me or anyone at Amazon. Therefore, I can only surmise that the investigation against me was deeply flawed and biased toward the toxic politicized atmosphere that afflicted our set," he continued. The actor, also known for his role on Arrested Development, further expressed his displeasure over the situation—not just for himself but for the show, as well. He concluded, "As I have consistently stated, I deeply regret if any action of mine was ever misinterpreted by anyone and I will continue to vehemently defend myself. I also deeply regret that this groundbreaking show, which changed so many lives, is now in jeopardy. That, to me, is the biggest heartbreak." It will be interesting to see how the show will proceed after losing its lead, but just as House of Cards intends to finish without Kevin Spacey, we're sure that the Transparent team will figure it out.